As the world was awaken to the dangerous rise of ransomware, where the WannaCry phenomenon paralysed FedEx, cancer centres, hotels and even Britain’s National Health Services in May this year, what can a Business Continuity manager do to prevent it from happening to your organisation? What other trends are cropping up in the cyberworld that you should take note of an incorporate it in your business continuity plans? How do you provide a failsafe plan to ensure the next wave of WannaCry attack doesn’t get to you. All these and more will be discussed in a half day seminar on “Aligning Your Business Continuity Program To Better Manage Cybersecurity Incidents”. This is the first of a series of seminars conducted by Dr Goh Moh Heng, President of the BCM Institute that would guide participants in improving the way they do their BC Plans in relation to global trends. Dr Goh’s deep and varied understanding in implementing and managing BCM makes the seminar an insightful session. He will be joined by Chief Executive Officer of MitKat Advisory Services, Mr Pawan Desai who will be sharing his presentation on “Cyber Resiliency – The Global Impact, Mitigation and Recovery“. You may also like to bring along your friends and colleagues who are not BCM Institute members to learn more about business continuity and global trends that you can take your cue from. 3.45pm – 4.15pm Business Continuity Program: How Do You Align Your Programme to Better Manage Cybersecurity Incidents? 4.15pm – 5.00pm Cyber Resiliency – The Global Impact, Mitigation and Recovery. 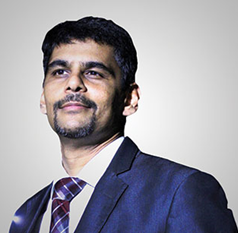 Pawan Desai, Co-Founder and CEO of MitKat Advisory Services, is a reputed ex-Indian Navy officer and board member of several other companies with 22+ years of experience in security domain. He has led several high profile risk consultancy assignments across verticals for 100+ blue chip companies assisting them in security risk management that includes Physical & Information Security, Business Continuity Management and Technology Consulting. He is an acknowledged thought leader speaking regularly at prestigious forums like OSAC, ACSG etc. and TV channels. He was part of delegation representing India in the India-US security professionals meet in US in 2014, authored several articles in professional journals on Cyber-Terrorism, Information Security etc. He is also Secretary of American Society for Industrial Security (ASIS, Mumbai chapter) and a visiting faculty at Symbiosis International University and NMIMS.